We are the men and women of Hillsborough County Firefighters. Just like the citizens we serve every day, we are husbands and fathers, wives and mothers, sons and daughters. We are dedicated to making our community a better place, both on and off duty. Some of our ongoing public outreach programs include supporting local schools, civic associations and groups with their events. Hillsborough County Fire Fighters, Local 2294 is a non-profit organization that represents the firefighters of Hillsborough County Fire Rescue. The primary objectives of our organization are: monitoring and improving public safety and firefighter safety, and maintaining a cooperative labor management relationship with Hillsborough County’s administrators and elected leaders. As a labor organization, our primary responsibility is to our membership. Securing market driven, competitive wages, for all members, ensuring comparable work hours to that of our brothers and sisters in the market, negotiating and protecting acceptable conditions of employment, and protecting the health, safety and wellness of each member are our highest priorities. As a public safety union, we carry greater responsibilities in the community than traditional labor unions. Local 2294 is an advocate for the health and safety of the citizens of Hillsborough County. The state of public safety can only be improved if county government makes it a priority. By monitoring the county budget, administrative decisions, and the policies enacted by our elected leadership, we maintain a firm understanding of the priorities in Hillsborough County. Local 2294 is also active in the community and the political arena. 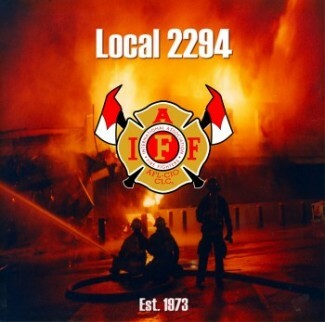 The membership of Local 2294 participates in both civic and political events that concern public safety, fire prevention & awareness, and firefighter safety & education. By working in conjunction with the Hillsborough Fire Action Committee and the Hillsborough County Firefighters Charities, Inc. our members proactively seek, on both a local and state level, changes that will improve the lives of the citizens we service and the working conditions of those whose duty it is to serve you. Our current membership consists of over 1,000 dedicated men and women who are on the front-line 24/7/365. We never close – we never quit! Copyright © 2018 Hillsborough County Fire Fighters, Local 2294. All Rights Reserved.